To begin with, what exactly is electronic commerce or eCommerce? eCommerce is a term for any kind of business, or commercial transaction, that contains the transfer of information across the Internet. In other terms, e-commerce includes business, trade, buying, and selling, that is executed electronically, instead of hand-to-hand. What Is The Most Affordable Method For Product or Service Marketing? In order to succeed in ecommerce field, businesses require resourceful technology as well as solid Marketing Strategy. The primary goal of any kind of ecommerce-based business owner is to increase his/her business by making things easier for customers to shop. If you can’t understand the significance of technology and marketing strategy, you will in general perspective face difficulties to accomplish your business goals. 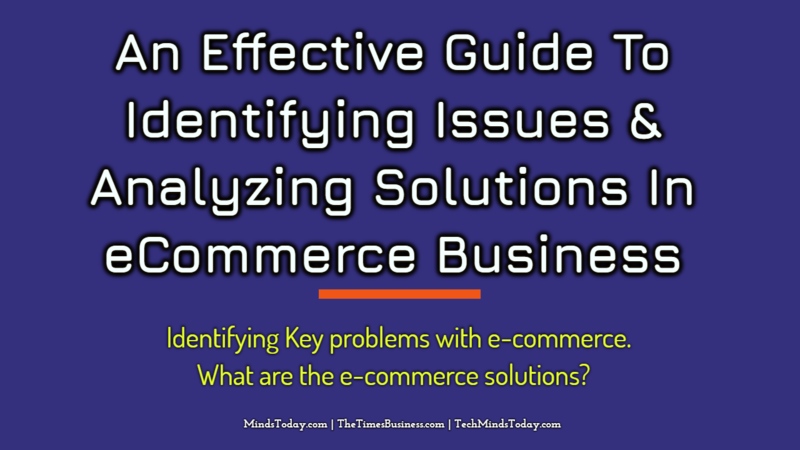 Hence, it is a key for e-commerce business to have a clear understanding about the solutions that occur on regular basis. Before discussing further about e-commerce solutions, we need to first identify some of the key problems with e-commerce. An unsystematic website or ecommerce store that is difficult and confusing to navigate. Lack of information on the website including failure to tell customers about special deals or prices. The inability to pay with the customer’s native currency or the inability for the customer to even understand the language in which the website is written. Unsatisfying and confusing shopping carts and check out procedures. What are the e-commerce solutions? Having a professional looking website is the first and foremost step because it will attract customers and make them feel confident in buying from your ecommerce store. You want your website to be systematized and easy to navigate. The website has to be informational and search engine friendly. It should have features that show promotional deals. It should encourage visitors by suggesting related items. The ecommerce store should have user friendly shopping cart and single page checkout. The website should facilitate user-friendliness to navigate in different international languages. You have to make sure you accept different types of currency. All these inputs serve basic needs and solve many e-commerce problems. A successful ecommerce business is all about taking adequate steps to make sure your brand and your products or services are presented professionally. This information is for Learning purposes only. We are indeed not financial/legal mentors. It should not be considered legal or financial advice. You should consult with a financial/legal advisor or other professional to find out what may be the optimum for your individual needs. Please do your own research. Crypto Trading Software: How Does It Help You? How To Maximise The Profits In Any Trade On The Crypto Market? How Risky Is Crypto And Other Relative Investments?